Cristiano Ronaldo has only recently become a father to two beautiful boys. And, rumours are all around that he is going to be a father very soon. While his new twins were born to a surrogate mother whose identity remains undisclosed, it is Ronaldo’s girlfriend, Georgina Rodriguez, who is believed to be pregnant. Several speculations have been around for a long time about the pregnancy of Georgina. 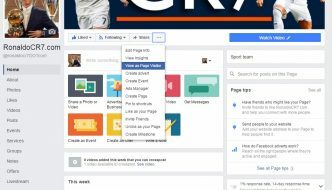 It all started when Ronaldo posted a picture of himself and his girlfriend on Instagram, in which Ronaldo’s hand was lovingly placed on her belly. And now, she has been seen showing off what looks like her baby bump! 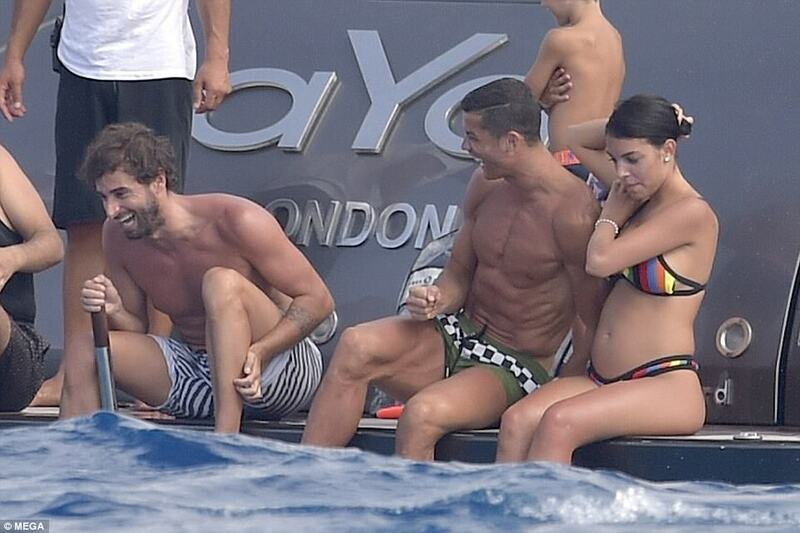 Ronaldo has been hanging out with Georgina in Ibiza and Formentera for a couple of days now. Ever since Ronaldo’s return from Russia, the player seems to be in a mood for some fun. He has been holidaying, and has been spotted several times in his relaxed mode. Recently, he was seen jet-skiing and hanging out in the blue waters, while his girlfriend has been showing off what is visibly a baby bump. The gentle curve of her belly is an obvious baby bump for a woman who has been in perfect shape so far. Either that, or she is bloated. And, this has further refuelled the rumours of her pregnancy. 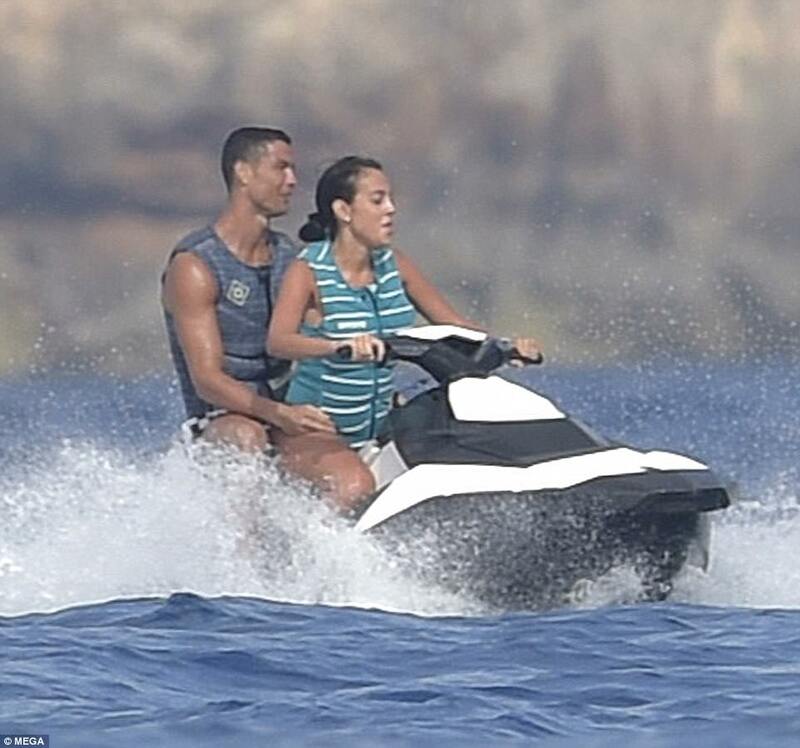 While it is a big question how she can risk getting on the jet ski while she is pregnant (if she is pregnant at all),t Ronaldo’s lady seems to be having a great time with her boyfriend, while his eldest son recently joined them. Even when Ronaldo’s twins were not born, the questions about Georgina’s pregnancy came into being, though they mostly remained unanswered. Apparently, she is five months pregnant at the moment, and the couple is expecting its first child in October. A close acquaintance of the couple has revealed that Georgina disclosed the news of her pregnancy to his family recently. But Ronaldo and Georgina have not said anything about this. A couple of months ago, Ronaldo’s mother, Dolores, dismissed the rumour. But, now that Georgina Rodriguez, who has always shown her best features in her Instagram posts, has come out in the open to show her slight bulge of the belly, the question is once again prominent – is she pregnant? Is Ronaldo about to be a father soon, again? Take a look at the best moments of Ronaldo and her (possibly) pregnant girlfriend, captured in beautiful snaps.